Paris 8th - François 1er/ Champs Elysées. 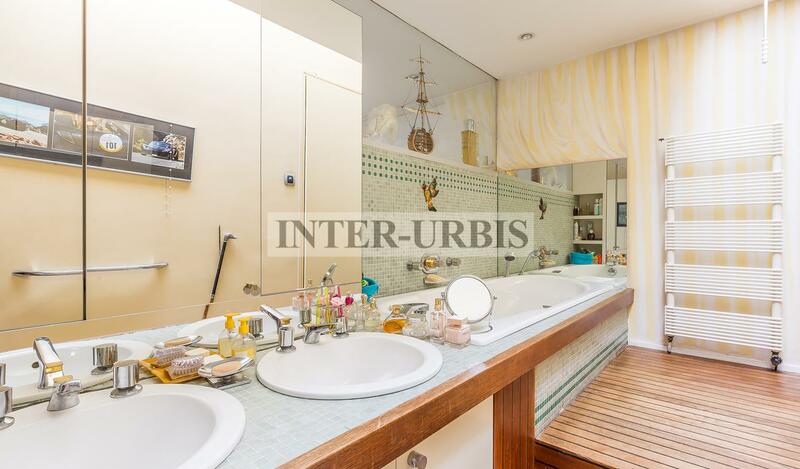 On the top floor of a haussmannian building, charming 3/4 rooms apartment with delightful terrace facing south. It is composed by : entrance with cupboards, a large living room with corner living room and corner dining room, the whole opening on the terrace, big dining kitchen, parental suite with a lot of cupboards, a bathroom and toilet, another bedroom with shower. 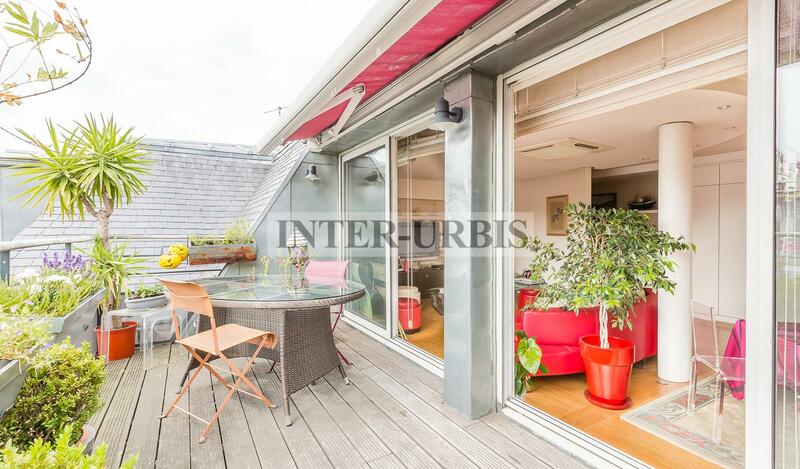 Large teak terrace of 14m². Small cellar. Lots of charm, quiet. Ideal pied-à-terre with Eiffel Tower view.